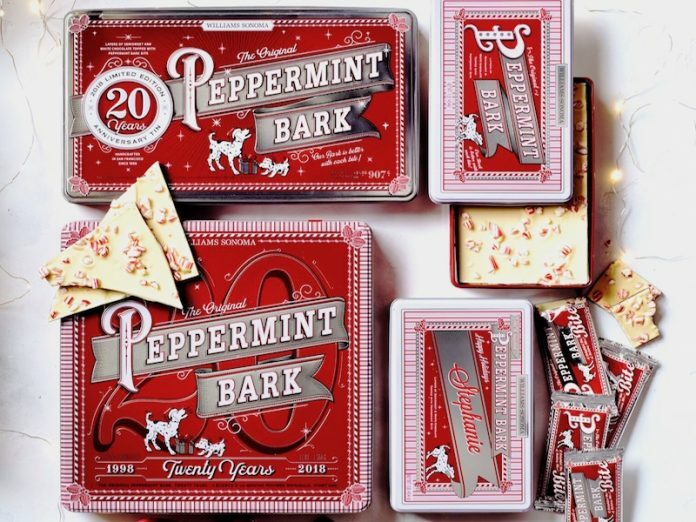 Williams Sonoma’s Peppermint Bark has been a holiday staple for the last twenty years. 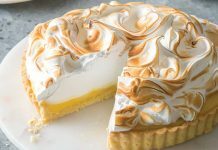 We wait every year for Williams Sonoma to come out with this indulgent treat, and when they do, we grab as much as we can! Made from the finest Guittard chocolate and infused with triple-distilled peppermint oil, this peppermint bark isn’t just a wonderful snack; it’s a holiday baking must-have! See how three of our favorite bakers use peppermint bark in their holiday baking, from a peppermint bark and chocolate tart, peppermint bark cookies and “milk”, and peppermint bark puff pastry wreaths! Here are some of the ways the Bake From Scratch team uses it in their own baking. Coat your Cookies. Dress up your favorite shortbread in a generous coating of melted Peppermint Bark for a holiday twist on chocolate-dipped cookies. We love it over our Classic Shortbread recipe from our November/December 2018 issue! Just be sure to melt the bark over a bain marie to prevent it from burning. Mix It Into Your Scone Dough. Chop up some Peppermint Bark and fold it into any sweet scone dough to add extra crunch to your scones. It’ll make for a toothsome peppermint breakfast that pairs perfectly with your morning cup of coffee! Trim Your Pies and Tarts. Break up the Peppermint Bark into small pieces and sprinkle around the outer edges of your go-to holiday pie, right where the filling meets the crust. This will make for a wreath-like trim that’ll frame your pie in holiday cheer. The extra crunchy texture will pair well with any custard- or chocolate-filled pie. Press Into Thumbprint Cookies. Instead of filling your thumbprint cookies with jam or a chocolate kiss, break up your Peppermint Bark into small pieces and press into the center of the cookies while they’re still warm from the oven for an extra touch of holiday magic. 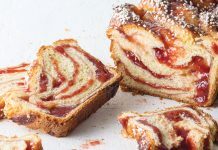 Make a Beautiful Border on a Cake. Create a festive mosaic border on your favorite holiday cake that’ll take it from ordinary to centerpiece-worthy. After frosting your favorite holiday cake, simply press shards of Peppermint Bark onto the frosted sides of the cake. Don’t miss our Williams Sonoma Peppermint Bark giveaway to get a tin of your own peppermint bark, as well as our latest November/December Holiday issue!